Commercial and charter boat fishing is a highly important industry in the US. It provides an important source of food, recreation, nutrition and income for hundreds of thousands of people throughout our country. It’s been estimated that in 2014 the US had over 87,000 commercial fishing vessels. It’s also been estimated that there are 3.5 million saltwater fishing charters booked annually in the US. Fishing Partnership Support Services based in Burlington, Massachusetts, offers general support for commercial and charter boat fishermen. Speaking about commercial fishing boat safety, vice president, Andra Athos said traditionally, only 10 per cent of the fleet is trained in safety. The most productive area for commercial fishing is in the Pacific Northwest, followed by the Western Central Pacific and the Northeast Atlantic regions. In 2015 total amount of fish caught in the US in metric tons was 4,426,435. The total dollar amount in the US from fisheries was $5,268,395,131. Commercial fishing boat litigation & lawsuit injury settlements. If you or a loved one has been hurt or injured on a commercial or charter fishing boat as a passenger, crew member or as a ship worker, we can help get you the compensation you deserve. Our nationwide group of maritime lawyers and attorneys have years of success in litigating for people hurt on commercial and charter fishing boats. Contact our maritime law firm today. 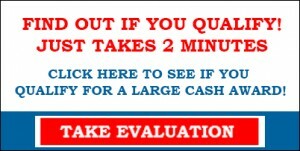 There may be substantial cash awards and payouts from any commercial or charter boat lawsuit claims. We are experts at the maritime law called the Jones Act. Many times we handle sexual misconduct, physical injuries, mental abuse, and harassment cases. Can I sue for any injury on a commercial or charter fishing boat? 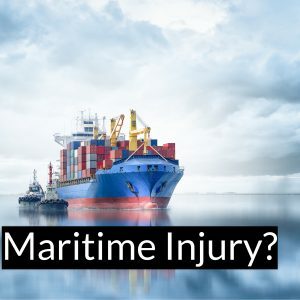 What is the compensation for injuries on a commercial fishing ship? How do I file a commercial fishing boat claim? My child or family member almost drowned on a commercial fishing boat, can I take legal action? I was sexually assaulted on a commercial charter boat by another passenger, who do I sue? I was attacked by a commercial charter boat worker or employee, can I sue them? A fire on a commercial charter boat killed my family member, what can I do? April 19, 2017 – Lake Palestine, TX. – One person dies and one injured after their boat goes over a spillway. April 4, 2017 – Tomales Bay, CA. – Phidat Ho, a private fisherman, of San Jose dies after his boat capsized in Tomales Bay. April 1, 2017 – Gloucester County, VA. – 31-year-old professional fisherman Tony West died while working a gill net operation. March 19, 2017 – San Pedro, CA – 63-foot charter fishing vessel Truline struck an object and started taking on water. The crew and passengers were rescued by the U.S. Coast Guard. March 16, 2017 – Pinellas County, FL – After a search for two men who fell off a charter boat, U.S. Coast Guard documents show many times overbooked charter vessels leads to problems of people falling overboard. March 1, 2017 – Seattle WA, – A Hispanic man gets a $1.85 million dollar settlement from harassment that occurred on a fishing vessel back in 2011. Working conditions on the boat also led to another Hispanic man’s death. November 2016 – Charter fishing boat in New Zealand encountered problems leaving 7 dead. Most common types of commercial fishing accidents and deaths. A study by the CDC from 2000 – 2009 shows that among 504 U.S. commercial fishing deaths, most happened after a vessel disaster with 261 deaths, 52%, followed by a fall overboard of 155 deaths, 31%. The CDC goes on to state: Vessel disasters are the leading cause of fatalities among commercial fishermen accounting for 50% of fatalities nationwide during 2000-2014. Between 2000 and 2014 there were 210 fatal falls overboard in the United States and none of the victims were wearing a personal flotation device (PFD) when they drowned. Most commercial fishing deaths occurred off the coast of Alaska with 133 or 26%. The Northeast region had 124 deaths or 25%. Gulf of Mexico area had 116 deaths or 23%. Mid Atlantic & South Atlantic 41 deaths or 8%. Hydraulic haulers and winches can lead to injuries including amputations and death. Types of commercial fishing and charter boats accidents. Commercial fishing or charter boat fires. Various reports show fires happen at least eleven to fifteen times a year. Increase of fires is based on rapid growth of fishing industry in recent years. Slip, trips and falls. Let’s face it; working or fishing on a ship at sea can be dangerous on deck and in rooms. The normal tossing and turning of the ship can lead to many falls. When ship decks are wet from sea spray falls can and do happen. Falls can also happen from gear on the deck if improperly stored. Falling overboard is fairly common. There are accidental falls off the ship and there have been cases of people or workers being dragged off the boat from ropes, cages, nets or other fishing gear. Food poisoning. Lack of hygiene on the ship or improperly stored food may cause food poisoning. When a few people are infected by the norvovirus (viral gastroenteritis) has close contact to others this highly contagious disease can spread to the entire crew and passengers. Most of the time this is simply unpleasant, and not life threatening. Deadly Storms. Most fishing vessels take great measures avoiding storms, but last February the 95-foot Bearing Sea crabbing boat The Destination and its 6 members went missing, some think it was lost in a massive winter storm or became coated in ice. Collisions at sea. There are many natural and man-made obstacles in and around the ocean. Reefs, rock piles, docks, piers and other ships can all present a hazard. Can I sue a commercial fishing or charter boat? If you were hurt or injured on a commercial fishing boat or a charter boat contact our maritime law firm today. We can help to determine if you have a case and can sue for any accident, injury or death at sea that may have occurred. Maritime laws are complicated and require lawyers and attorneys who specialize in this type of law. Commercial fishing boat lawsuit claims and settlements, charter boat litigation lawyers & attorneys page updated April 24, 2017.